In 1908, Fred. R. Lewis, while employed by the Butterworth Mortuary of Seattle, was sent to Bremerton to operate their branch mortuary at 212 Second Street. While operating for them, he decided that Bremerton and Kitsap County had a future of which he wanted to be a part. When the opportunity arose for him to purchase the business from the Butterworths, he did so. Mr. Lewis was aware that the services he had to offer were the very minimum and the quarters inadequate to operate properly. He purchased property on Fifth Street, just off of Pacific and erected a new building specifically intended for a mortuary. In 1912 Fred R. Lewis completed construction of the two story building known for many years as the Lewis Funeral Chapel at the location of 515 Fifth St. Having faith in the future of Bremerton, he built much larger than the business would seem to warrant and provided for living quarters on the second story. In 1922, his eldest son, Lester M. Lewis came to work with him and it was apparent that the time for expansion was here. From that time and until 1966, the Lewis Funeral Chapel operated on Fifth Street and continued to make improvements and expansion of the facilities to better serve the community. In 1924 Mr. Paul Paulson, who served the Poulsbo Community as a mortician, passed away and his family sold their interest in his business to Fred Lewis who purchased the entire inventory and trade. Mr. E.A. Borgen acted as representative of the firm in the north end until his retirement in 1954. As time progressed, Fred realized the need for the residents of Kitsap County to have a local, modern, endowed care cemetery that wasn't located in Seattle. 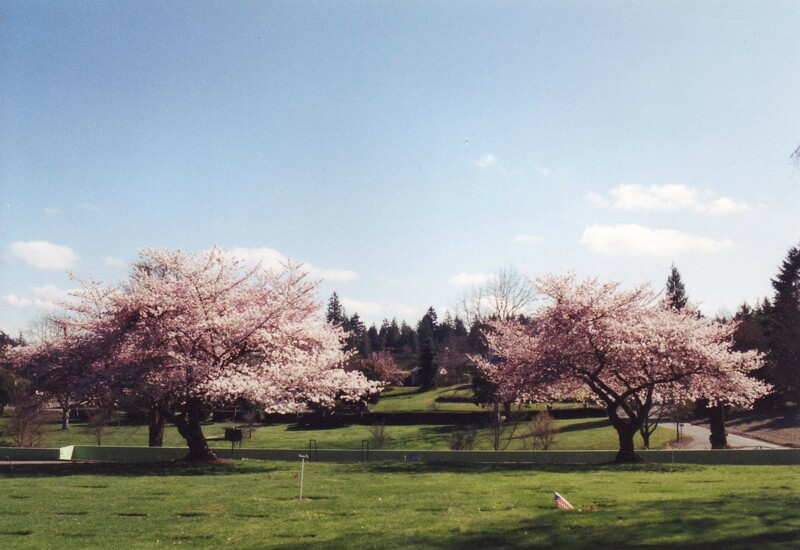 In 1931, Fred financed his sons Lester and Paul to construct an endowed care cemetery and crematory on the highway which was currently under construction between Bremerton and the north end communities. Shortly after Forest Lawn Cemetery was in operation, Fred Lewis became ill and after a short illness passed away in March of 1935. Upon Fred's death, his sons Lester and Paul formed a partnership with George Cassity and purchased the Poulsbo Mortuary, and Lewis Funeral Chapel from the estate and left the actual operation of Forest Lawn Cemetery and Crematory to a Superintendent, Mr. Vernie Morrison. Not long after this partnership was formed it became apparent that the requests for services at the Poulsbo Mortuary were growing and different facilities were needed. So in 1936 the partners purchased the 2 story home of Mr. Leif Ness in downtown Poulsbo and remodeled the lower floor for a mortuary and the upper floor for living quarters. The mortuary provided for a small chapel, and family room, casket selection room and a preparation room. They continued to operate this mortuary until 1954 when Mr. Cassity became ill and passed away. His interest in the mortuary were purchased by Lester M. Lewis as his brother Paul Lewis had sold his interest in all phases of the business and passed it to the two remaining partners. Just prior to his death, Mr. Cassity and Lester Lewis were negotiating for a piece of property just outside Poulsbo proper with the intention of building a new funeral chapel. In 1955 construction began on the new "Stone Chapel" Poulsbo Mortuary and on September 23, 1956 the new "Stone Chapel" was dedicated to serve the people in the north end. While the Stone Chapel was under construction, Lester Lewis, Jr. was completing his Mortuary Science education in San Francisco and returned to form a partnership with his father to operate both mortuaries. It again became obvious that the ability to adequately serve the community from the Fifth Street location was being hampered by the growth in Bremerton, with further expansion of the existing mortuary being restricted. 1955 became a memorable year with the purchase of yet another piece of property adjacent to Forest Lawn Cemetery, facing the highway. The finalization of this project was delayed for almost 10 years by the State Highway Departments plans for the Oyster Bay Interchange. Construction finally began in 1965 and was completed at the end of 1966. The facility was dedicated to the people of Kitsap County and Bremerton in January of 1967. In 1970, Glen M. Henrickson joined the staff of Lewis Funeral Chapel. after his graduation from the San Francisco College of Mortuary Science. He worked as a Funeral Director and Embalmer, and later moved into management positions with the company. Lester M. Lewis died in 1983 and ownership of the corporation was passed to his son Lester M. Lewis, Jr. Mr. Henrickson was named Corporation General Manager in 1987. With the impending retirement of Mr. Lewis, negotiations for sale of the business began in 1991, and in 1992, a sale was closed between Lester Lewis, Jr. and the Henrickson family. Glen Henrickson took control of the new corporation as its President October 1, 1992. With the old "Stone Chapel" Poulsbo Mortuary nearing 40 years of age, and with growth in Poulsbo stifling expansion of the existing facility, negotiations for purchase of property outside Poulsbo began in 1995. The decision was made at that time to also establish a new, endowed care public cemetery for the North Kitsap area. The old Poulsbo Mortuary property was sold in August, 1996 and ground was broken for a new mortuary, cemetery and crematory combination on Foss Road between Poulsbo and Kingston in December, 1996. The new facility was completed and showcased to the public as "The Stone Chapel" Poulsbo Mortuary at Cherry Grove Memorial Park on October 26, 1997. On August 16, 2001, Glen M. Henrickson passed away and his son Glen C. "Chris" Henrickson replaced him as president. The Henrickson family continues to operate the business as a local, family owned corporation.